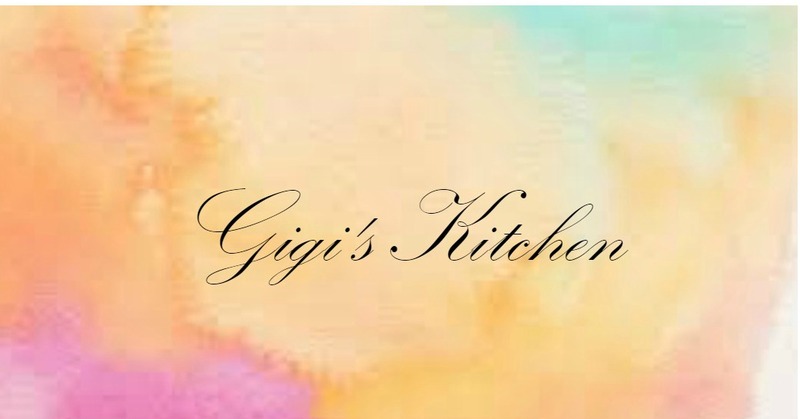 Gigi's Kitchen - My Blog on Cooking, Makeup, Fashion, Crafts and More: Stila Cosmetics Sale and Product Recommendations! Stila Cosmetics Sale and Product Recommendations! Wow I've been away for quite a while. Don't worry I am still going to be blogging. Sometimes life gets busy and I don't have as much time as I would like in the day for blogging. I have so much to post and I hope to be able to get back into a routine. Very often I get emails from companies that I've previously purchased from or signed up to by email talking about a sale or promotion. I usually look through them quickly as I'm getting ready in the morning and delete most of them. Sometimes I actually take advantage of those sales and purchase some much needed replacements or items I have been eyeing. When I saw this email about the sale for Stila Cosmetics I got really excited and I thought I just had to share. From Winter to Summer the products I use in my every day skin care and makeup routine etc. change quite a bit. In the winter the cold weather dries out my lips and skin much more so I tend to use lip balms and moisturizers. Also in the cold weather foundation is great but it feels a bit heavy for the Summer months so a bb cream or tinted moisturizer are the better option. I take out my bronzers and luminizers, waterproof mascaras and brow tools that stay put even through the hot weather. So when the Spring arrives I am always on the lookout for some good items to add to my collection. Shopping for beauty products can get expensive. Here is a list of 10 items by Stila Cosmetics that I would recommend to you if you are going to be shopping during the sale. Some of these items are being recommended because they are generally some of Stila's best in my opinion and others are going to be just wonderful for the summer heat ahead. 1.Stila Sun Bronzer- A bronzer for that easy no skin damaging sunny glow. 2. Stay All Day Waterproof Brow Color- These liquid brow pencils are popping up all over and I think they are great for keeping brows filled and defined all day. 3. Stay All Day 10-in-1 HD Beauty Balm- Been loving bb creams. They are so light and great for summer and they usually offer pretty great coverage while priming, moisturizing and more all in just one great product. 4. Bronzing Tinted Moisturizer SPF 20- A Bb cream could still be a little heavy for some. If you prefer something even lighter go for a tinted moisturizer which will still give you some coverage but not feel too heavy on the skin. This specific one is great because it doubles as a bronzing product as well. 5. Hydrating Primer SFP 20- Face primers are so important. They should be applied all year round. Summer is the time they really are a must to keep all face products from melting down and slipping right off in the heat. 6. Prime Pot Waterproof Eye Shadow Primer- Eyelid primers are similar to face primers but for the eyes. They should keep the eyeshadows on through sweat, tears and fun water activities throughout the whole summer. 7. Stay All Day Waterproof Volumizing Mascara- A waterproof mascara that adds volume to the lashes is a great addition to a budge resistant eye look. 8. Passion Fruit Crush Lip & Cheek Stain- Lasting lip color in assorted shades that are citrus scented are the perfect finish to any quick look. 9. Eye Shadow Trio- I like the bronze shades for summer. They bring out that glow in the skin and make the eyes pop. 10. Kajal Eye Liner-Liner that can be blended out for a smokey eye or used to add smudge proof color to the upper or lower lash lines. Click on the words above to be redirected to each item on the stila website and shop. Perhaps I will do product reviews on these specific items in the near future for now these are just recommendations. If you have any questions about any of these specific items please feel free to email me. Good Luck with your summer shopping!